Also to add to the sponsors table of goodies, well bring a few of our hooked on autism carp tournament T-shirt from this year. I think in past as the winners in each category are called up to get their trophies, at that time they get one pick off the table of goodies, their choice. Then the remaining goods go to raffles, door prizes(if available). I'll take the buckle...and the NACC trophy. Don't need the selfie(yet)as I already have two of them. Me and Denice just registered Bill, looking forward too it! The sponsor list keeps growing! Thanks to Jerome Moisand for his $50 gift card to Wacker Baits. Thanks Jerome! Adding Crew Carwash to the list of sponsors. Thanks Crew! Adding Dave Ash to the list of sponsors. 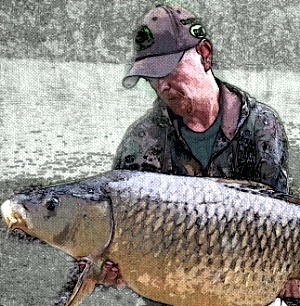 An all Paid chartered salmon trip or a carp session for the weekend. 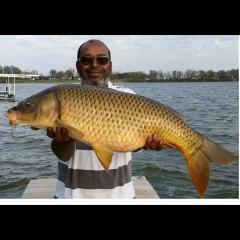 All you would need is a fishing license and cloths. Thx Dave! Thank for posting this Bob! We raised $977.00 last year on our first one. Hoping to double it this year. Event T-shirts will be available once again. The logo on the flyer will be the t-shirt design. Printed on a yellow shirt so the carp and yellow puzzle pieces will be the shirt color. Looking forward too it! It only took 2 years to be a part of it.